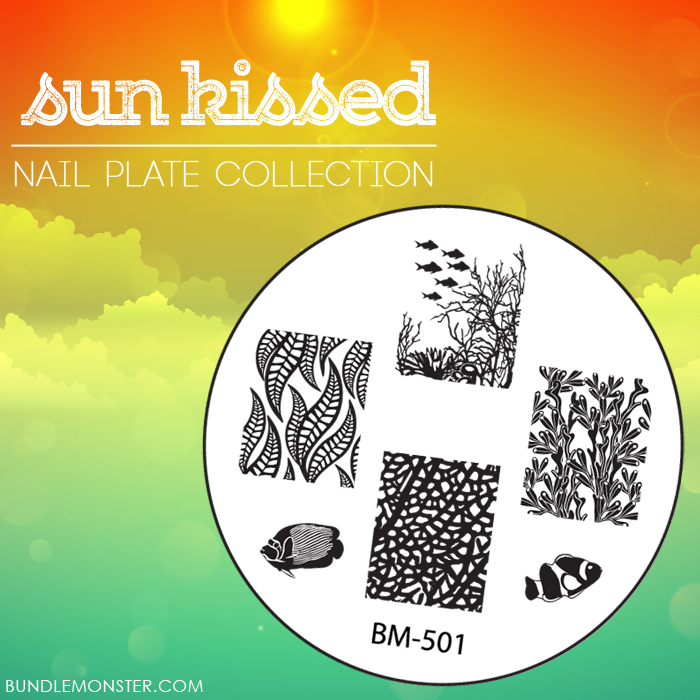 Lacquer Lockdown: Hot Off The Stamping Press: Bundle Monster Sunkissed Collection (UPDATED)! 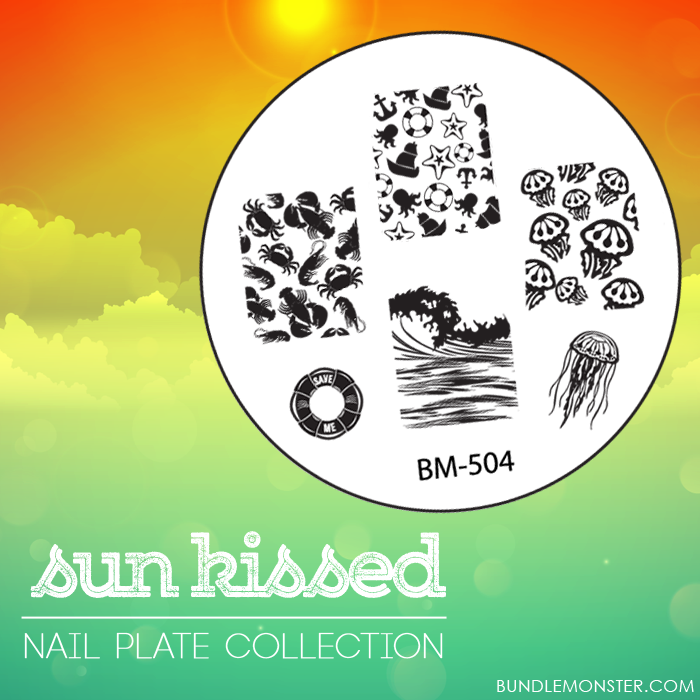 Hot Off The Stamping Press: Bundle Monster Sunkissed Collection (UPDATED)! It's a two-fer today because I just had to share some exciting news with everyone as soon as I saw it! Apparently Bundle Monster has been working in secret on TWO fabulous collections! I think we all knew that about the Create Your Own Collection for 2014 that is in the final stage of selections, but apparently there was a mystery collection that we didn't know about as well. Yup that's right Bundle Monster has given us the first official sneak peek at their Sun Kissed Collection! I saw this posted on Bundle Monster's IG and you came to mind. They did say this set will be released "ending of August". I'm excited to see what this set has to offer. Just when I thought I didn't need another set of stamping plates... Ha! Lol I'm sure you did. I think I'm getting a little bit of a reputation round these parts for obsessively stalking all the plates :) In any case yeah I saw they said sooner than you think, but who knows. I remember when Pueen said something similar for the Encore Collection and everything was delayed so I'll just wait for the formal date to be announced and go from there :) I want to see a few more of the plates before I commit to anything since I have a lot of new plates and reviews on the horizon that are just amazing!